2013 was a very busy year at Amadeus. Some of our finest projects included creation of a garden drum room for Mike Sturgis, installation of 3 BOXY pods at Finton House School and a Jazz pod in a town house in Newcastle; plus many other acoustic treatments for schools and establishments around the UK. 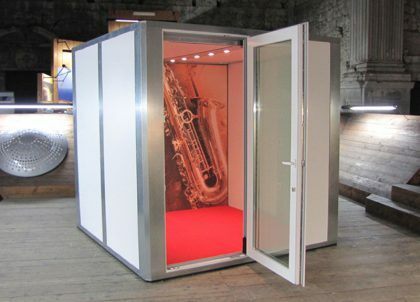 We also thoroughly enjoyed the Solent Acoustics Convention and exhibiting our new M-Pod® at the London Drum Show in October 2013.